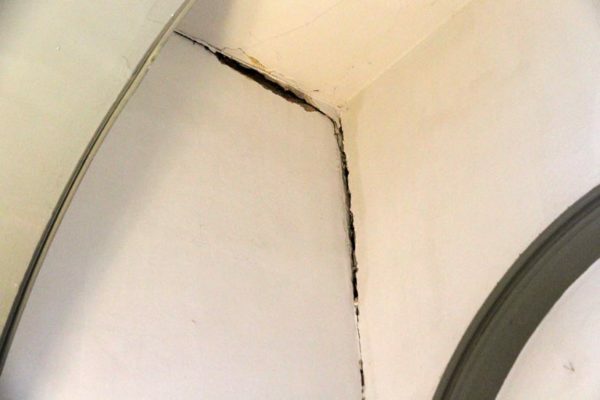 You’d heard about damage to the Washington Monument after the 5.8 magnitude earthquake that hit the D.C. area in August. 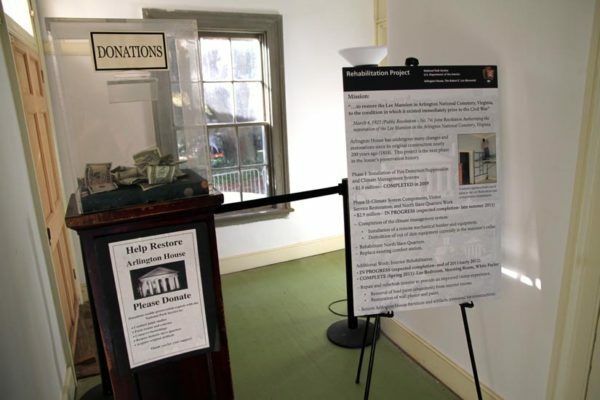 But you probably haven’t heard about the damage suffered by one of the most iconic, historic structures on the other side of the Potomac River. 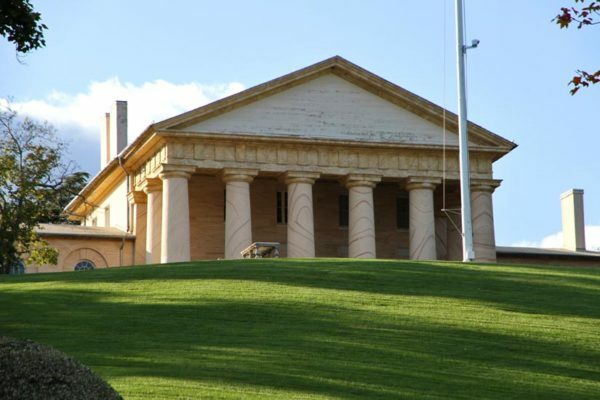 Arlington House, the former home of Robert E. Lee, suffered significant damage during the quake. 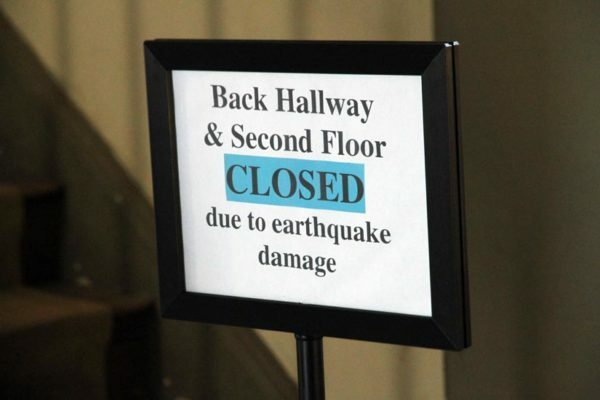 Large portions of the 200-year-old house, which overlooks the District from what is now Arlington National Cemetery, are now closed to the public as a result of the quake. 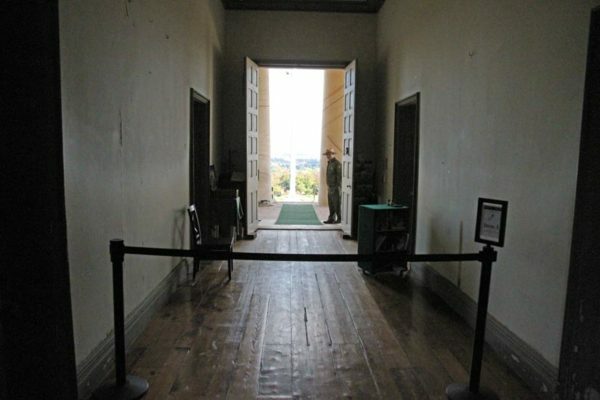 The house’s entire second floor is currently closed, along with a back hallway. 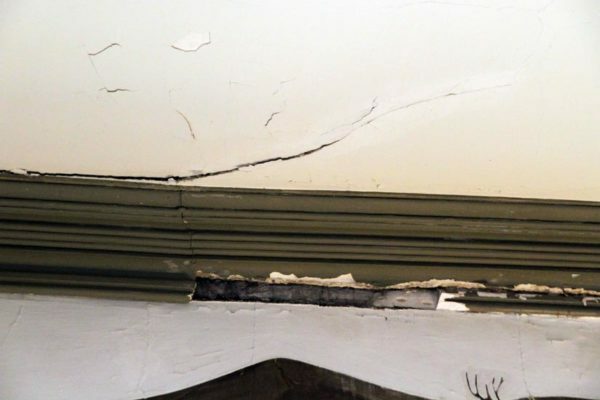 We’re told that the quake shifted the structure’s back wall by a quarter of an inch, producing large cracks in the plaster. 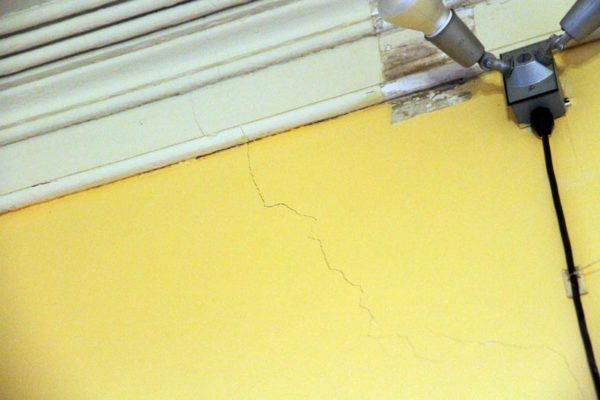 Though further inspections will be performed, it’s thought that the damage is primarily to the plaster, and not to the structure. 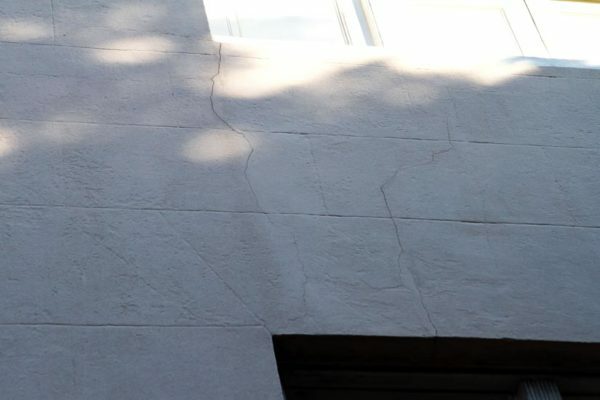 Some hairline cracks in the wall as seen from the outside, however, may have been caused by the earthquake; it’s unclear how significant those cracks may be to the structural integrity of the house. Arlington House was already in the midst of a multi-stage rehabilitation project when the earthquake hit. 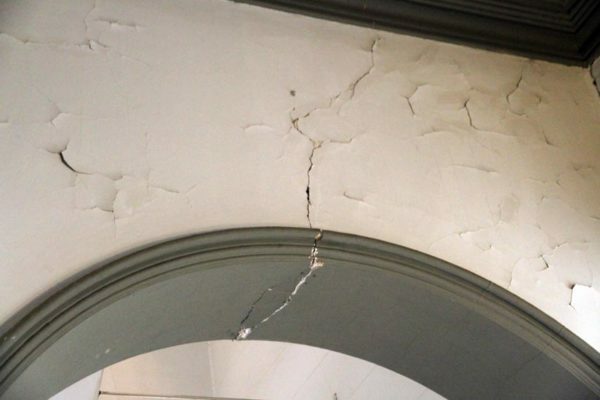 The National Park Service will try to add earthquake repairs to an existing contract to rehabilitate the home’s interior plaster and paint, according to a park ranger. The work likely wouldn’t be complete until the end of March, at the earliest, we’re told. In addition to being a national memorial and a tourist destination, Arlington House also serves as the inspiration for the Arlington County seal.